Eight candidates are vying to take up the position of executive director of Uganda Wild Life Authority (UWA). The position is currently occupied by Dr Andrew Seguya. On Wednesday this week, the Public Service Commission, according to two sources, conducted both oral and written interviews. The same sources, who preferred annonimity because they don’t speak for the commission told PML Daily that a total of 22 applicants had shown interests but only eight were shortlisted. The eight include Dr Seguya, whose contract expired in November last year , Dr Gladys Kalema, board member, Dr. Samson Werikhe of Gorilla Organisation, Dr Samuel Mugasi, the executive director, NAADS and Achilles Byaruhanga, a lecturer at the Department of Environment, Makerere University. Others are Dr Daniel Alapa and Sam Mawanda. “We expect the results to come out before the end of this month. But all the candidates have rich CVs and its really going to be a hard task for the commission to select the best,” one of the sources told PML Daily. In May last year, the President directed the IGG to investigate Seguya over the theft of ivory from the UWA stores he oversaw. It was alleged that Seguya connived with Chinese diplomats to sell ivory in China. After his appointment in acting position, some of the candidates, who applied for this job argued that it was wrong for the minister to appoint Seguya, as if were no other officers in UWA to act as he re-applies. “The drafting of the job description, and the advert were tailored to the CV of Seguya. 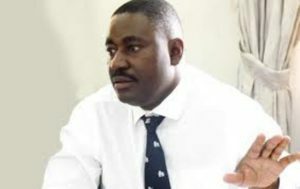 The impacts of all these fraud is that we are seeing emphasis on technicalities such as the age, designed to block competent and qualified candidates,”one of the applicants, who were dropped, revealed. Efforts to speak to Dr Seguya were futile as he failed to pick our calls. The other candidates, who sat the interviews with Seguya this week said they have instructions not to speak to the press. In 2014, a routine check found that 1,335kg of ivory valued at about $1 million (about Shs4B) had vanished from the UWA strongroom. The then Tourism minister, Maria Mutagambwa (RIP) suspended Seguya, together with five managers to pave way for an investigation into the missing ivory. Seguya was, however, later cleared and reinstated.